camera (Jessica Miglio/HBO) Jemina Kirke, Zosia Mamet, Allison Williams, Lena Dunham and Andrew Rannells appear on the HBO show, "Girls". 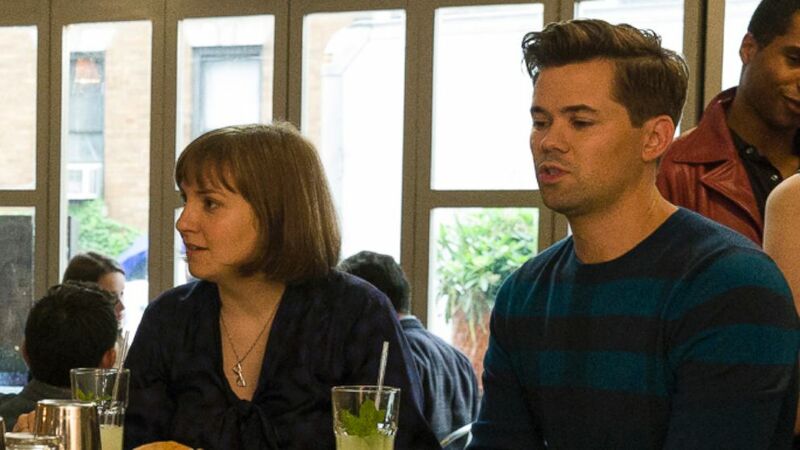 "Girls" is back on Sunday night and the multi-talented Andrew Rannells is happy to be a series regular for season 4 as Elijah. "It was a really fun season to be a part of," Rannells told ABC News. "Even though I never felt I was tagging along as a guest star ... it was nice to be official." The Tony Award-nominated actor filmed season 4 this summer while rehearsing for his latest stint on Broadway in "Hedwig and the Angry Inch" and shooting for a new movie "The Intern," starring Anne Hathaway and Robert De Niro, coming out next year. To say it was a busy year for Rannells, 36, would be an understatement. But he's incredibly excited for the new season of "Girls" to start, especially those scenes of him and co-star Lena Dunham as they rage in Iowa. "Any time I get to do party scenes with Lena, it's the most fun ever, this season is no different," he added. "She does indeed go to Iowa and Elijah gets to tag along with that. I'd like to say he has a little more direction this year, but not really." I am so proud to be a part of @girlsHBO season 4. This Sunday, January 11th, we kick things off with a jazz brunch! What could be better?! But to shoot the Iowa scenes, Rannells said they didn't have to travel to the Midwest, but just to another borough in New York City. "We got to go to lovely Ditmas Park which can look like Iowa, actually," he said. "It's a crazy neighborhood in Brooklyn ... it doesn't look like New York at all ... HBO did reach out to University of Iowa, they were not so keen on having big film crews come and disrupt their campus. I can't blame them." 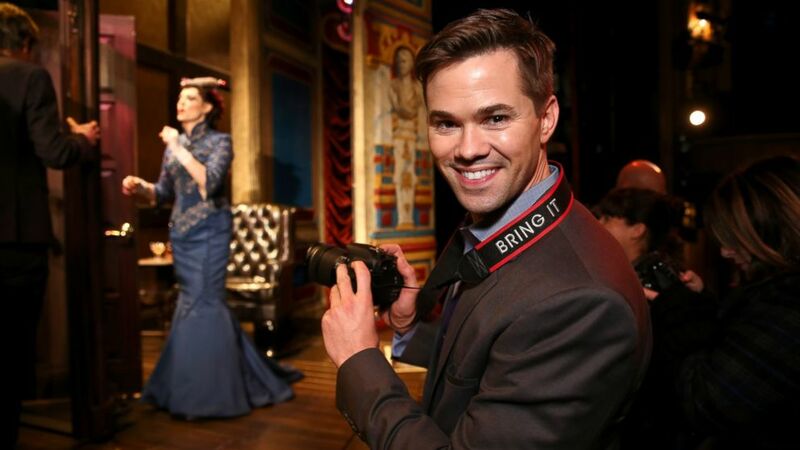 Rannells spoke to ABC as part of a collaboration he did a few weeks back with Canon, where for one day in New York as part of the #BringIt tour, he traveled to various iconic NYC spots like the Walter Kerr Theater and took pictures with members of the media. Rannells said at a young age he used cameras like DSLRs, but that as he got older, the cell phone really took over. He still thinks the quality of a DSLR is better and great for special occasions. (Neilson Barnard/Getty Images) Andrew Rannells hosts the Canon #BRINGIT Tour Of NYC at "A Gentleman's Guide to Love and Murder" on Dece. 3, 2014 in New York City. "Holidays were great time to try this out, use a real camera and get back into that habit, no offense to the cell phones," he added. He and others were able to upload their photos using the hashtag #BringIt.